The Lesson (Hardcover) | Fountain Bookstore, Inc. 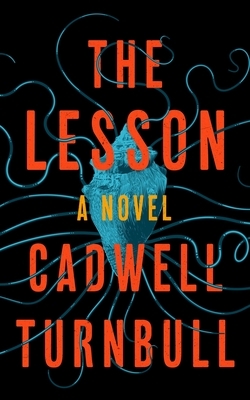 The Lesson is a spectacular first contact novel set in St. Thomas. The Ynaa have been living among us for years, but have only recently made themselves known to humans. They bring many gifts, but any resistance or aggression from the humans is met with wrath that is ruthless and out of proportion. This is a complex, but easy-to-read novel that reminds me of Ursula K. LeGuin. Issues of race and sexuality are dealt with a grace and intensity unusual in a debut novel, particularly from an author so young. I was intensely moved by this story, completely swept up in it. I can't wait to read more from this author!